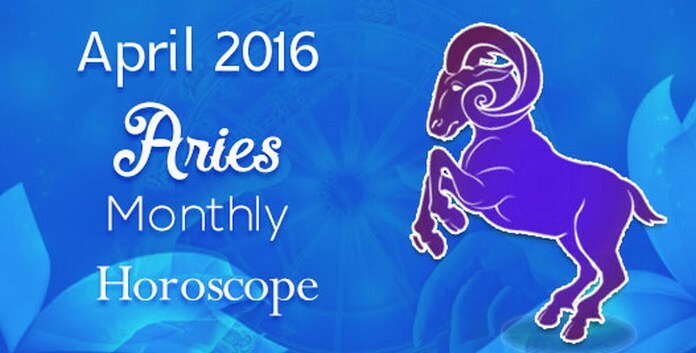 According to Aries monthly horoscope for April 2016, in the first half of the month you will be focusing more on your personal goals and professional life but after 14th of the month, you will start giving more attention to matters related with your family. This month you will have to strike a balance managing your professional and personal front. In order to achieve your goals, you need hard work and free will. You are not required to make any compromises or work to impress people. The key to your success lies in your confidence. You might also get attracted towards spiritual issues as you are keen on understanding your inner self and explore who you are. 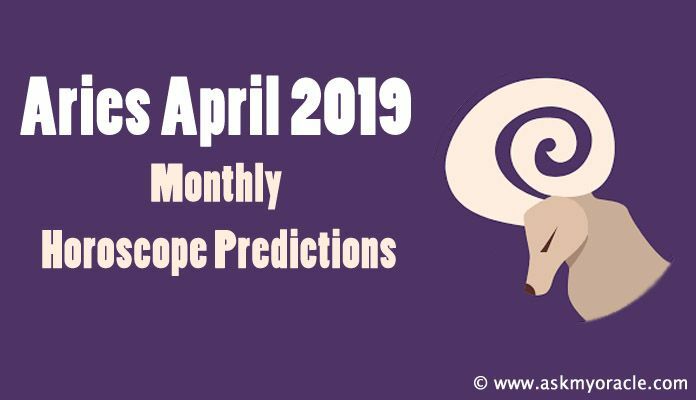 The career horoscope monthly predictions for Aries sun sign forecast that this is going to be quite a slow month for your professional life as progress will happen slow. With passage of time, after the first week, you will see things getting better. If you are in job then you are going to enjoy the positive energy at the work place. There can be some alterations in your company which might affect the environment at work. If you are in business, you will enjoy better clarity. You might have to face problems related with labor. If you are looking for a job change then it might happen this month. The finance horoscope for April 2016 predicts that you are going to have unexpected inflow of cash in the middle of the month. You will look for financial guidance inside you. You will spend money for humanitarian causes. After 20th, you will make money in some speculative ventures. Chances are that your family might not support your monetary ventures because of high risk. Talking about love and relationship horoscope for Aries for April 2016, love is expected to surprise you, especially when you expect it the least. You may find love at some religious place. You want a partner who is blessed with amazingly creative capabilities and wonderful qualities. If you are married then you will be bestowed with happy romantic times. Your passion will infuse new energy in your marriage. If you want then you can plan your family this month. The relationship with family is going to be smooth. They might not be supportive of all your ventures but they will let you do what you want. You are going to be spending quality time with your loved ones, especially in the second half of April as you are planning some renovation or reconstruction at home. The health horoscope for Aries for April 2016 predicts that you are going to enjoy the best of health and fitness during this month. By including some exercise or walk in your regime, you can further strengthen your stamina as planets are going to support you have better health. April 2016 is expected to be a busy month for Aries zodiac sign as you will have to give equal time to your family and your professional life. You will have to work hard in order to achieve what you desire. You don’t need to impress people. You will have amazing inflow of money because of your smart investments. Romantic associations are going to bloom. Singles are going to find their love and will enjoy a wonderful month. Relationship with family will also be smooth. Good health will keep you active and happy. This month you need to learn to synchronize your personal life with your professional life. 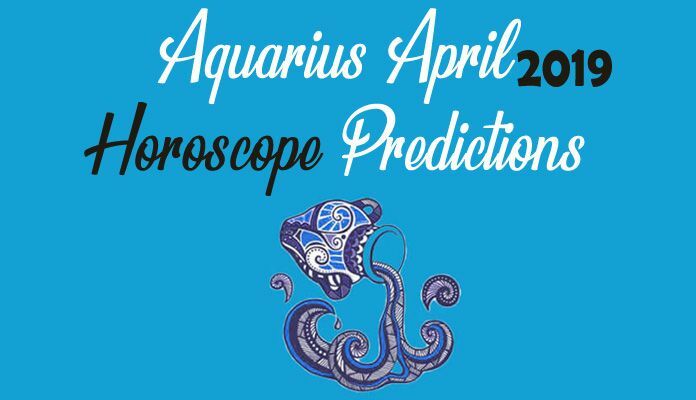 Aquarius monthly astrological horoscope for April 2016 predicts that you will be occupied with matters related with family. You will be engaged in personal and emotional issues. The free monthly horoscope for Pisces sun sign for April 2016 forecasts that this month you will be occupied with issues related with your personal and domestic life. The free monthly astrological horoscope predictions for Sagittarius sun sign suggests that April 2016 will be the time when you will be spending time dealing with family issues and sorting matters related with emotional stability. The monthly horoscope for April 2016 for Leo sun sign predicts that it is the time when you are going to shine bright. According to monthly astrology horoscope for Gemini, the month of April 2016 predicts that your complete focus for this month is going to be on your professional life. The free monthly horoscope for Taurus for April 2016 predicts that you are going to experience an emotionally difficult month. 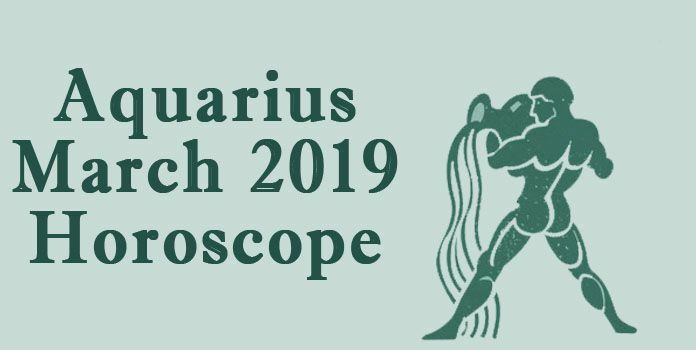 As per monthly horoscope predictions for people born under Capricorn sun sign, April 2016 will be a time when you will be busy with issues related with your family because of which your professional life will become your second priority. As per the monthly horoscope for Libra for April 2016, you will be occupied with issues related with personal life as all the planets are positioned in the lower half of your horoscope but in the latter half of this month you will start focusing on your career as well. As per monthly astrological horoscope predictions for Virgo sun sign for April 2016, it is predicted that this is a golden month for improving your professional life. According to free monthly horoscope for April 2016, people born under Scorpio sun sign are going to be involved in issues related with family. You will not be able to concentrate on matters related with your career. As per Cancer monthly horoscope predictions for April 2016, you will be focusing on your career and on your professional goals.